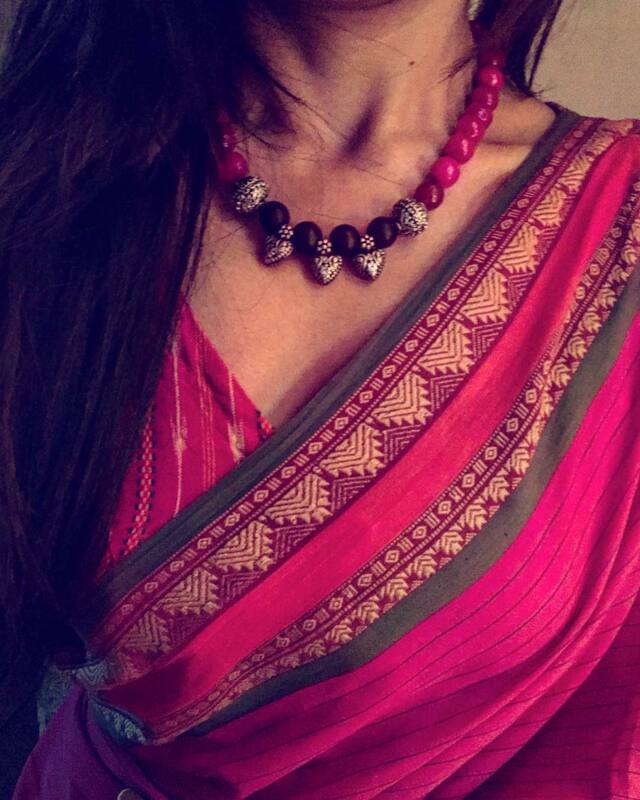 Necklace, the pretty accessory has a way to elevate your saree look. We need to confess that we have a strong weakness for this. 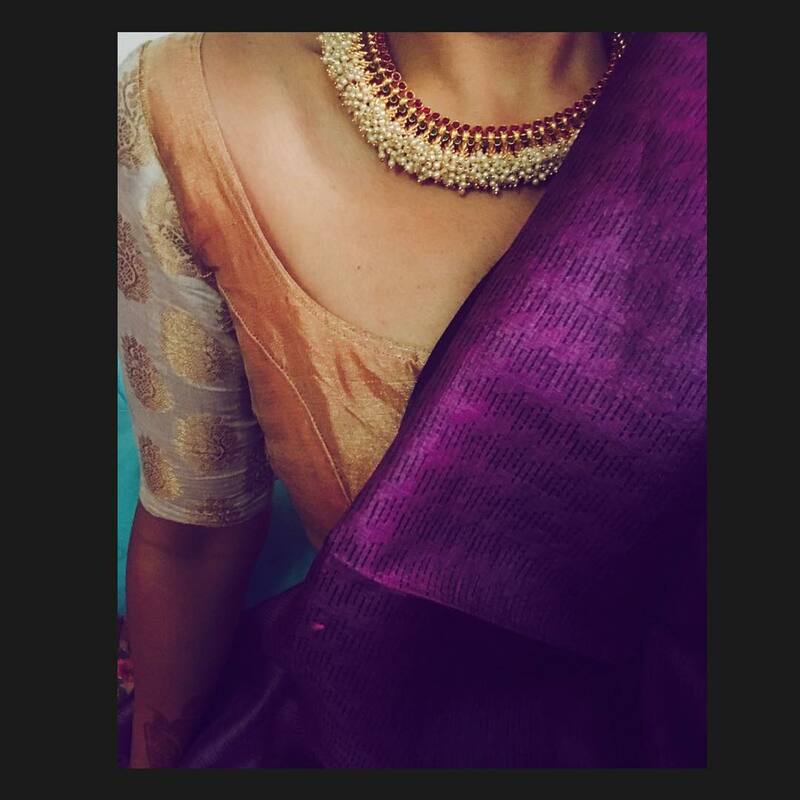 We can’t imagine our silk saree without a loud antique necklace or designer saree with a sparkling stone set. 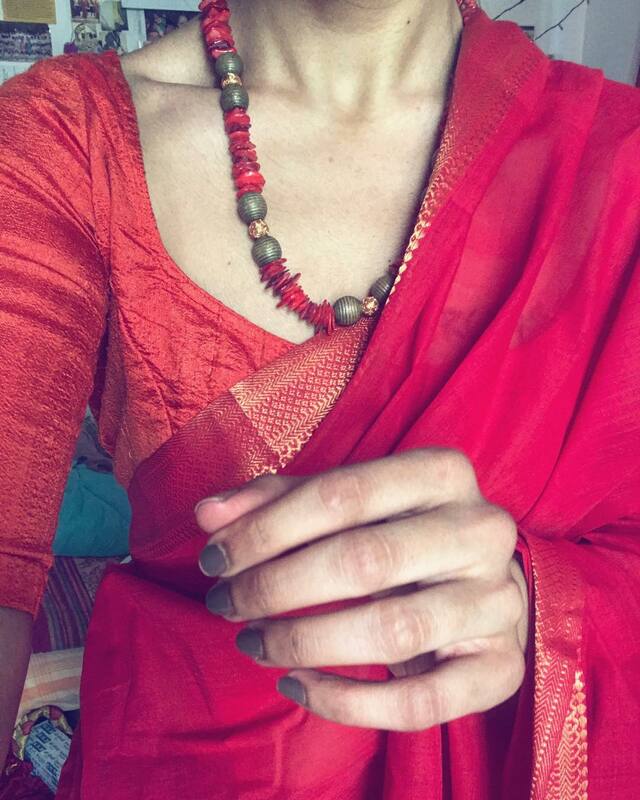 As you see, necklace is must for nailing a saree look. That being said, none in our team like to wear them with formal sarees. We prefer delicate chains instead of bold necklace sets when it comes to work environment. However, this notion has been changing. Why? You may ask. 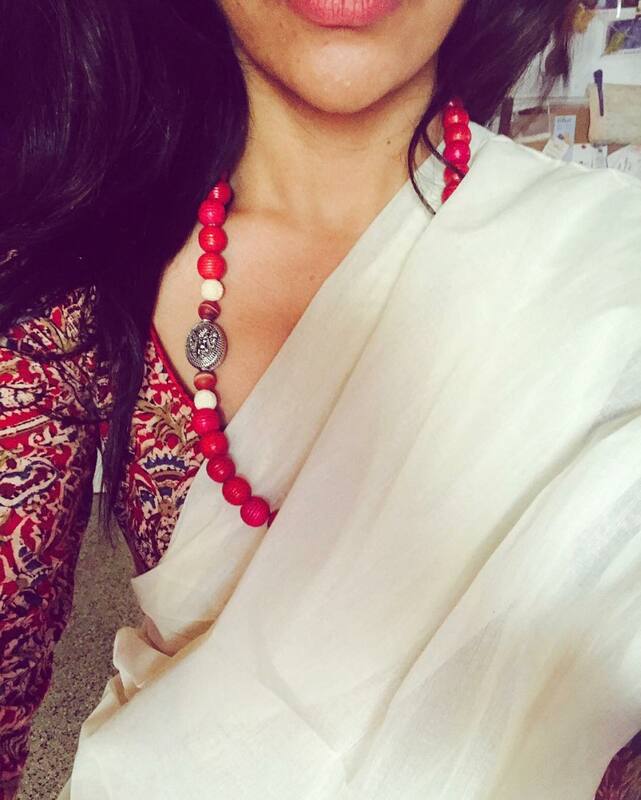 Because we have been getting some real inspirations on what necklace you need to pick based on the saree style. And this has greatly influenced our necklace choice off late and we can’t thank enough for the brand behind this change of mind. If you have been following us regularly, you might know that Margazhi has been one of our favorite online boutique for shopping best of handloom sarees. 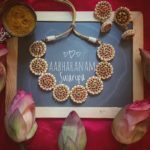 Besides offering adorable saree designs, Margazhi has also been inspiring us with their accessory series on Instagram. 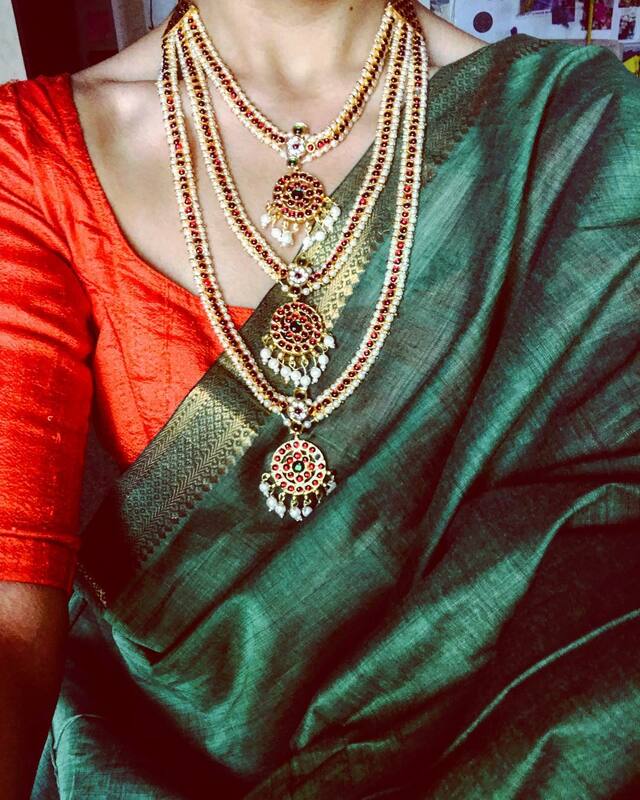 Here, we get to see how to style your sarees with the right necklace and make your entire outfit look so perfect. 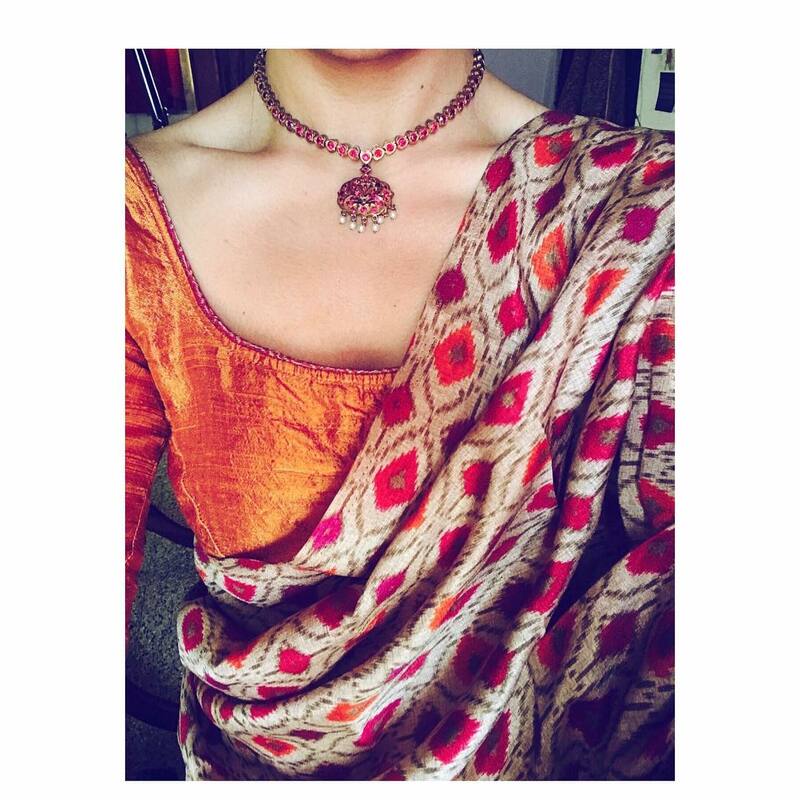 Believe us; we are completely addicted to their ‘Saree Necklace’ series on Instagram. And here you go! 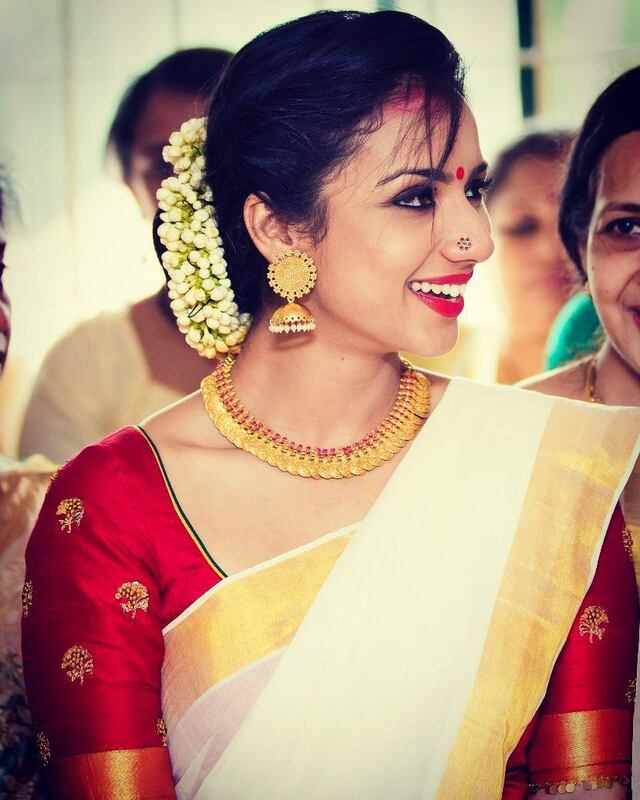 Scroll down and check out all the possible necklace ideas you can try with your sarees. 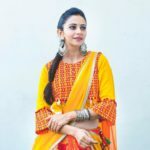 In case if you like to shop sarees from this brand, contact details are given at the end of the post. 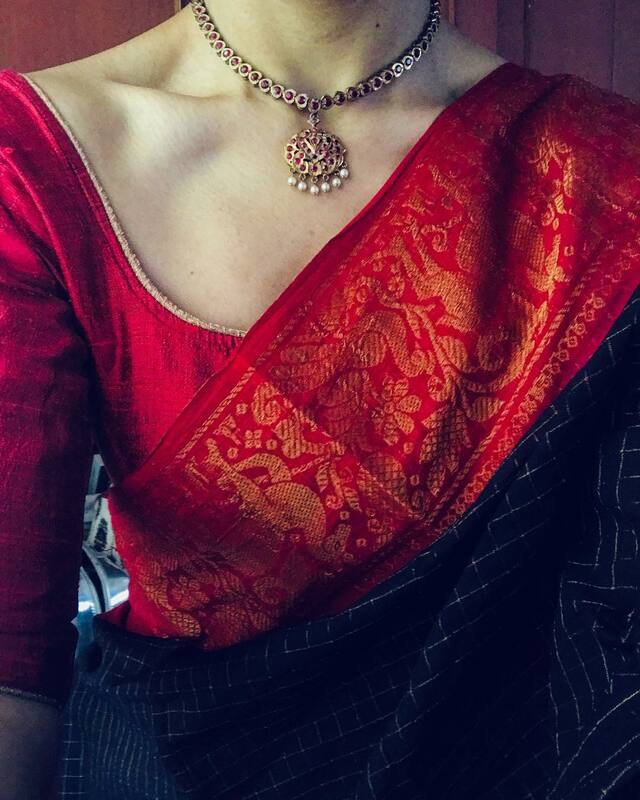 A simple ruby attigai can aid you to nail the entire clan of silk sarees. 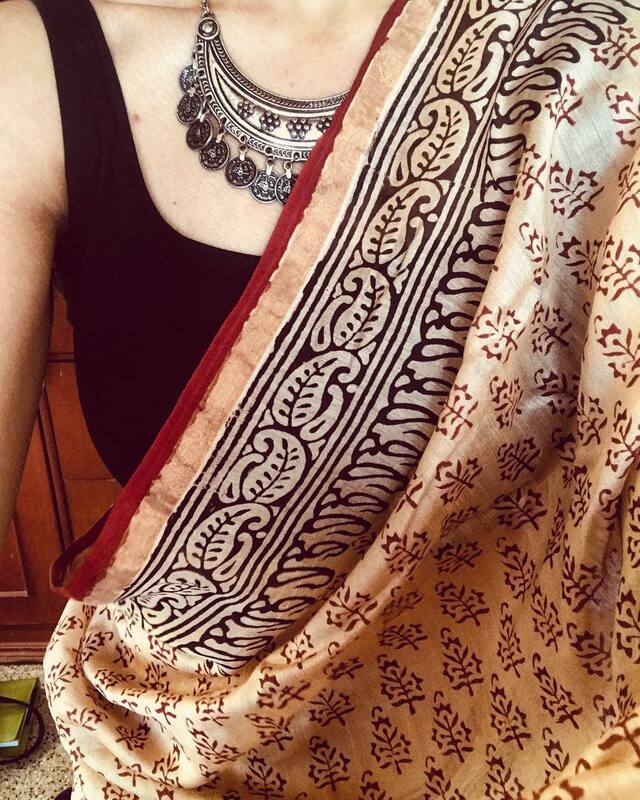 Give a stylish vibe to your traditional cotton sarees by wearing silver threaded necklace. 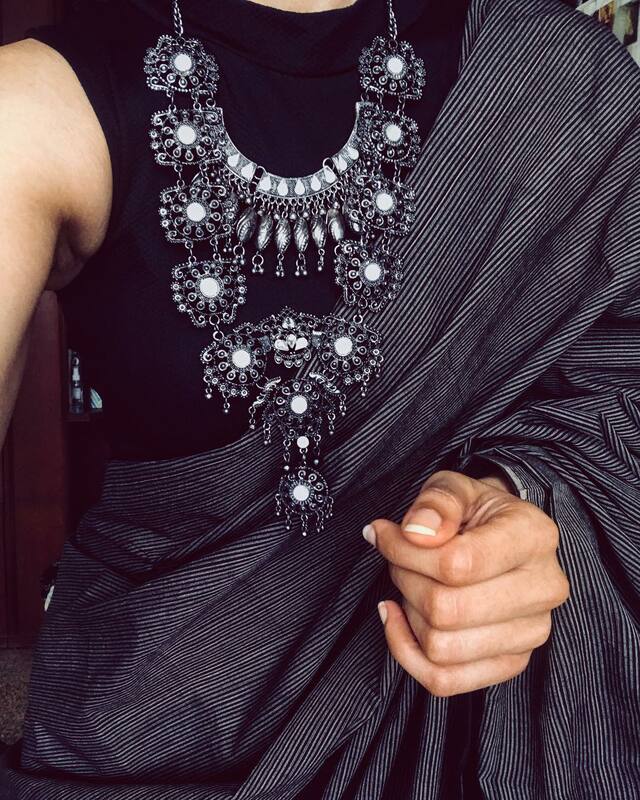 This beaded necklace makes this black saree look beyond beautiful. 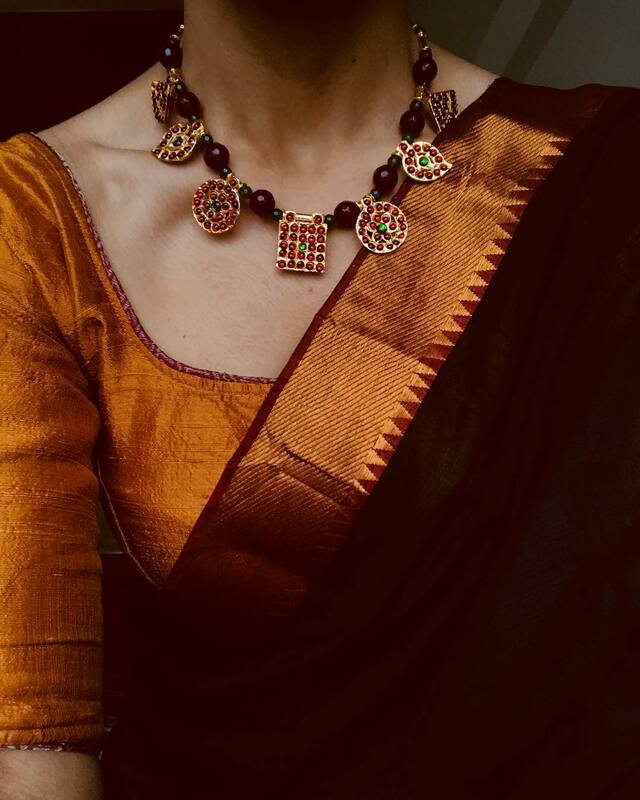 Kemp necklace is a must have for those who have soft spot for cotton and silk sarees. And this bright green attigai takes this white saree to new level. Delicate chains highlighted with glistening crystals & stones are minimal need for those who are not into catchy accessories. 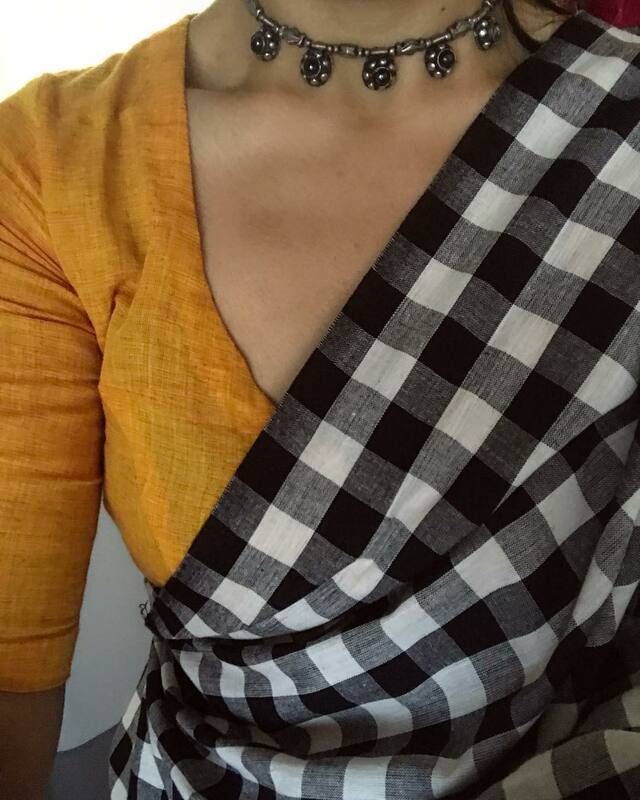 Here is another inspiration on how to nail a simple black cotton saree look. 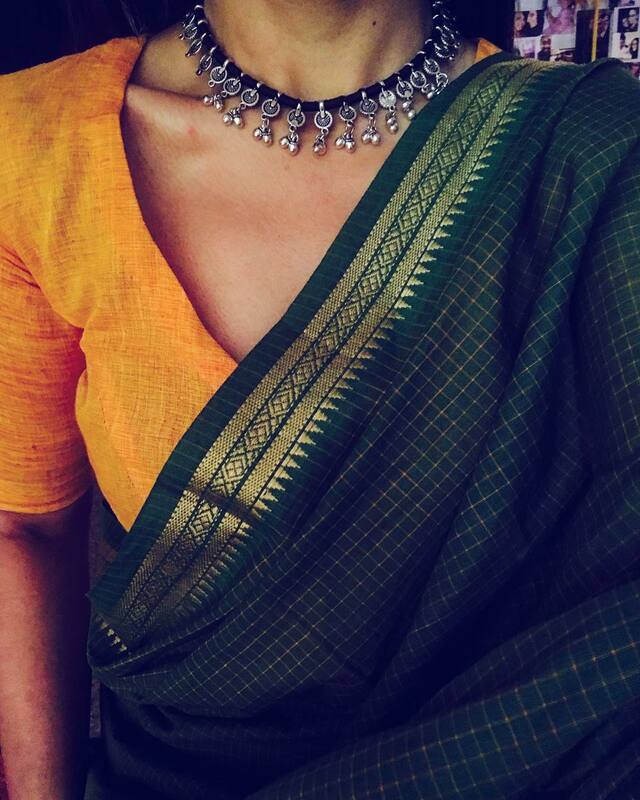 This simple choker is enough to add a fashionable spin to any traditional saree. Many splurge on heavy metal accessories that they completely fail to see the beauty of beaded pieces. 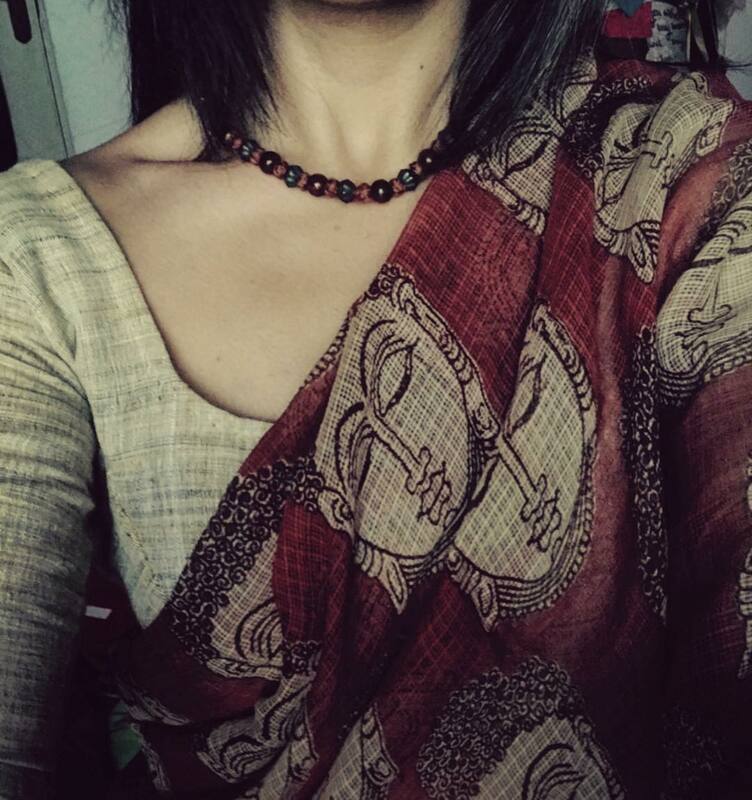 And here is how a simple attigai can bring your saree for an authentic traditional look. 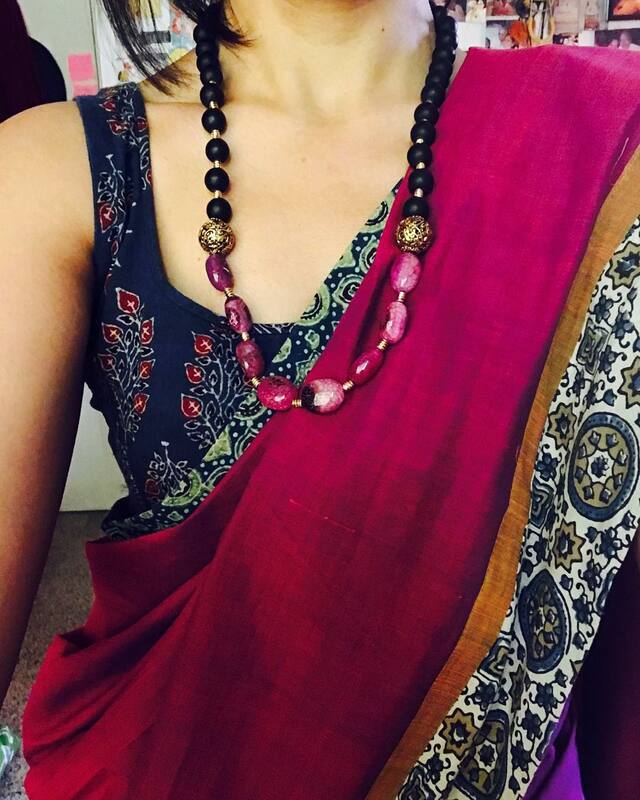 A beaded necklace like this can be worn with any cotton saree. Pearl clusters just amplify the richness of your saree style. 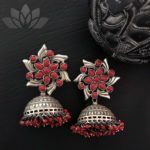 Wear this with bold jhumka and see how divine you appear. Bored of gold and other glittery accessories, get yourself a kemp necklace like the one below. It goes impeccably with any silk/cotton sarees. Make your plain sarees a head turner by wearing with printed blouse, and a flattering beaded necklace set. The dull tone of brass/copper accessories can add a fine touch to your delicate handloom sarees. 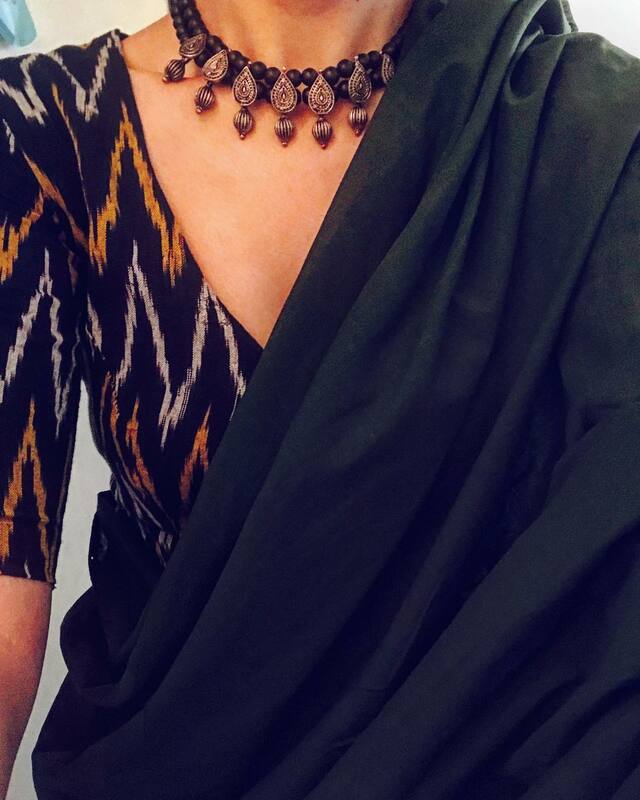 Sometimes, throw in a bold statement neck piece and be a show stopper. 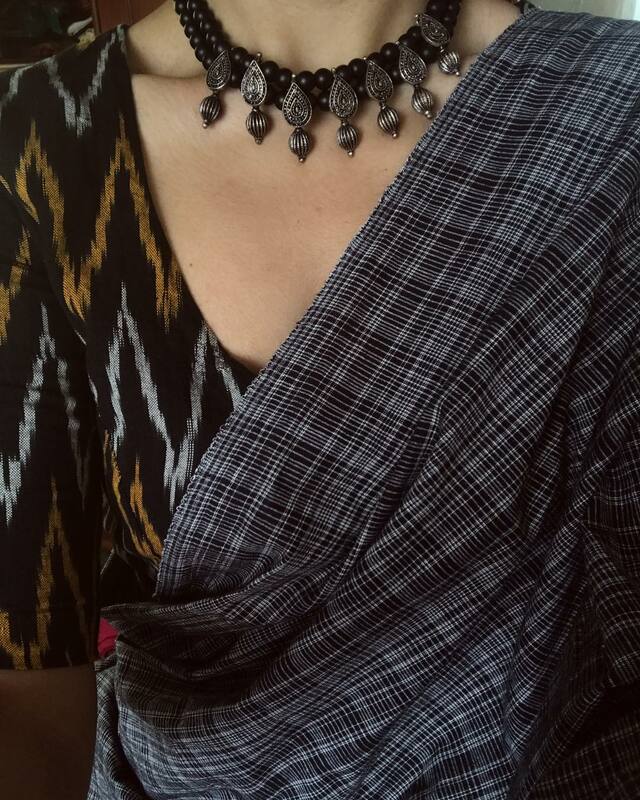 This oxidized neck piece adds a fresh look to this saree. 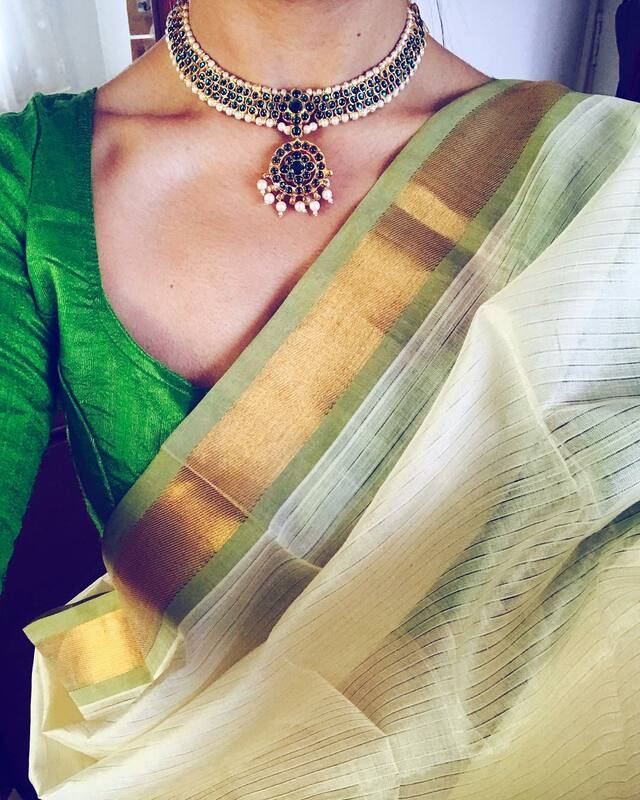 Attenuate the look of your vibrant sarees with a metallic necklace like the one below. You are bound to look regal. 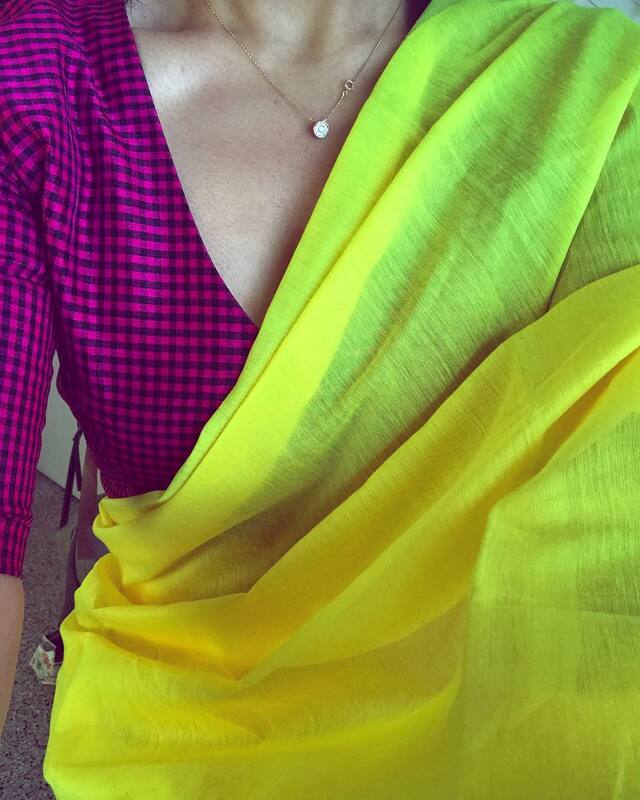 Interesting pop of colors can add a new dimension to your saree look. This, you can even wear to your office/college. Wear this with the sarees you inherited from your mom/grand mom and see the magic. That small side locket is too chic and cute. If you prefer minimalistic style, this is for you. 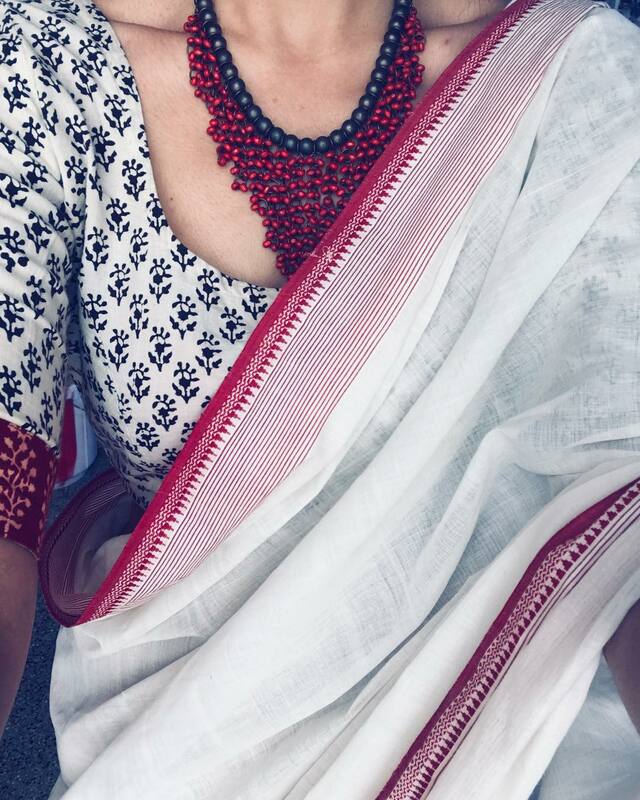 Few beads can make your saree look ultra cool. 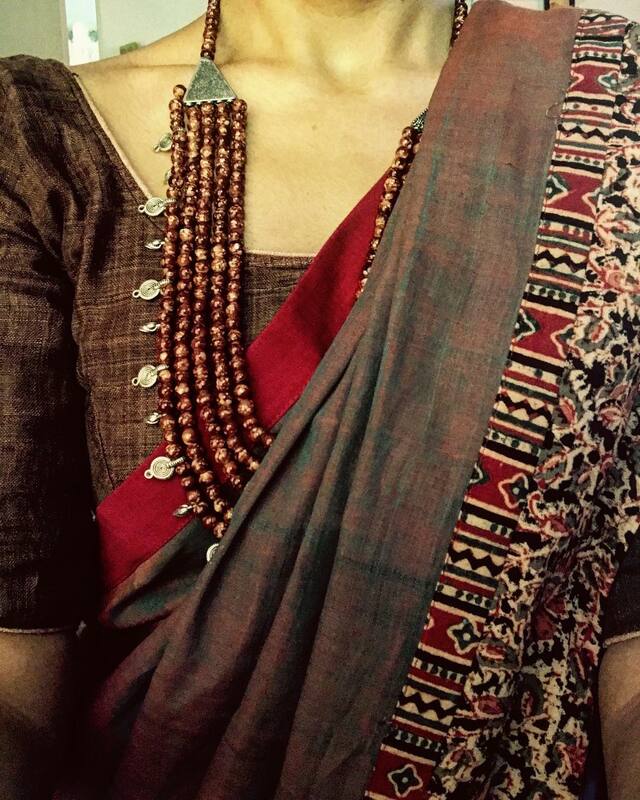 These wooden beads can go well with any artistic sarees. 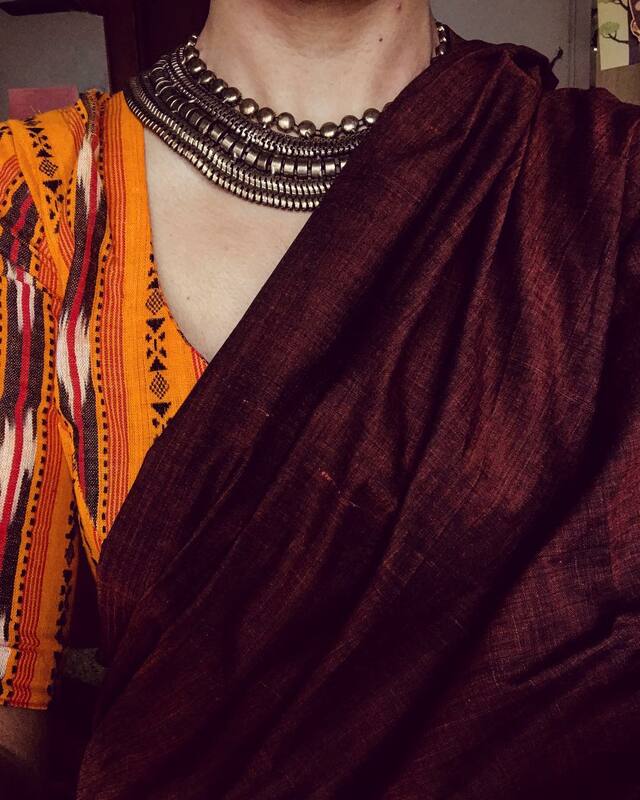 Here it matches perfectly with those Kalamkari prints. This is the kind of necklace that can instantly upgrade your look and make it look stylish. 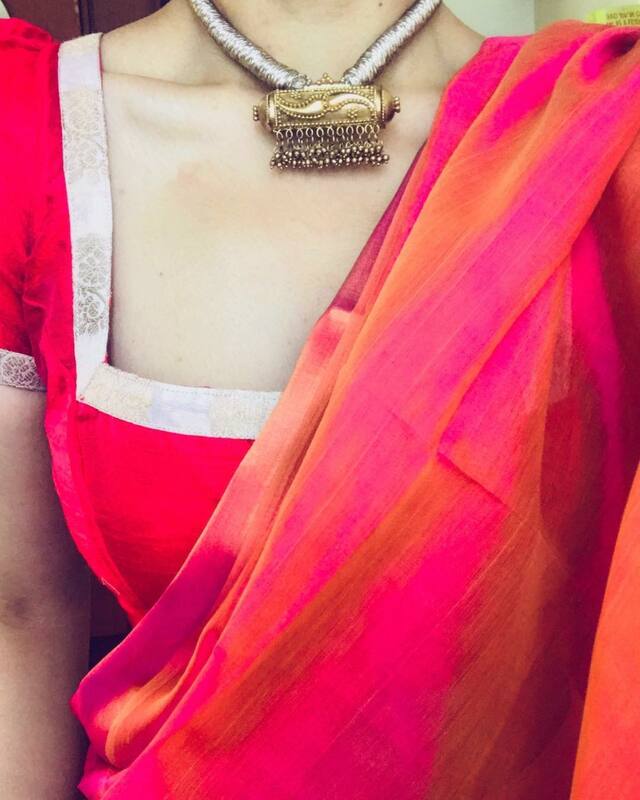 Can you see how a necklace can make your saree shine through? 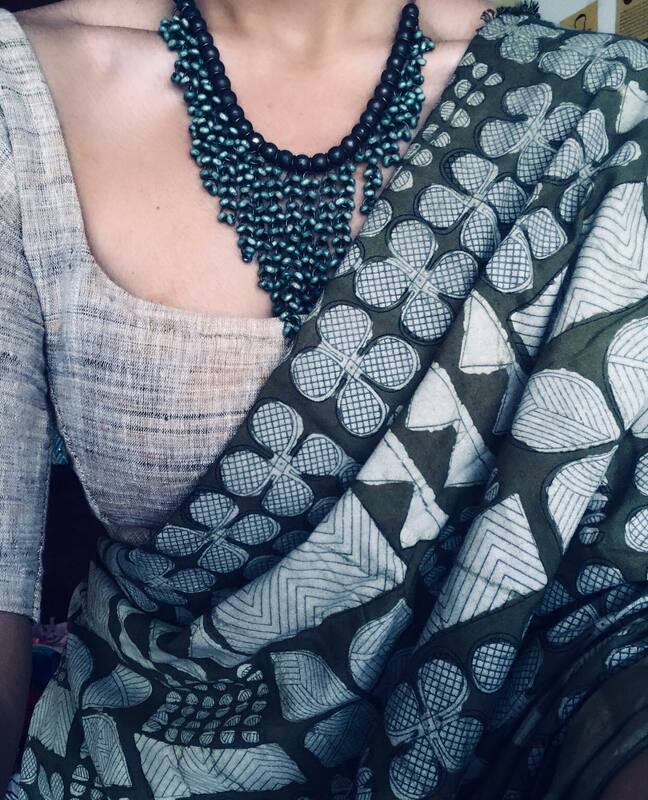 If you are still styling your sarees with the classic gold/ gold plated necklace, do give them a break and try these cool designs instead. 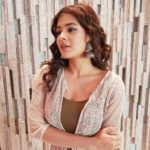 If you like to get more of these inspirations, check out the Instagram feed of Margazhi here. To shop from them, contact details are given below. 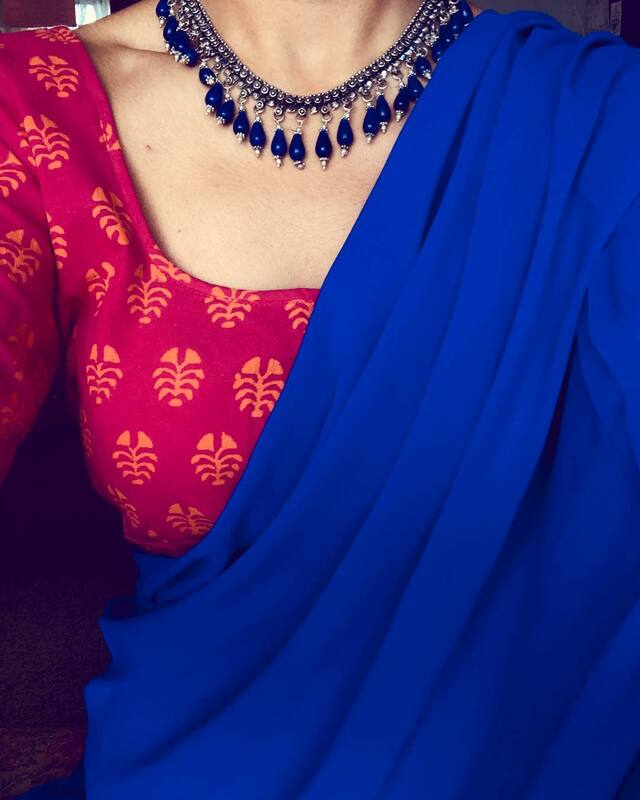 Don’t dull your saree look by wrong choice of necklace. 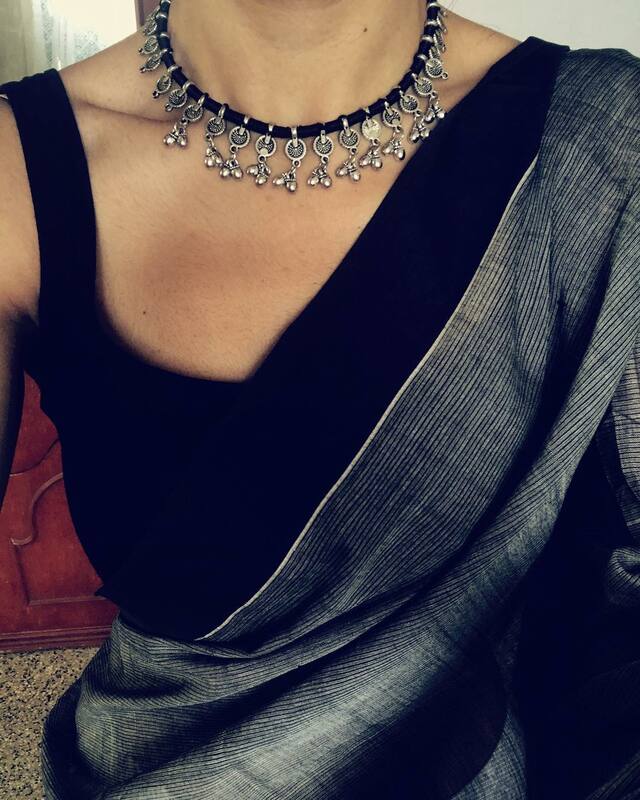 Do experiment with trendy necklace models and see how it can revive your saree style. 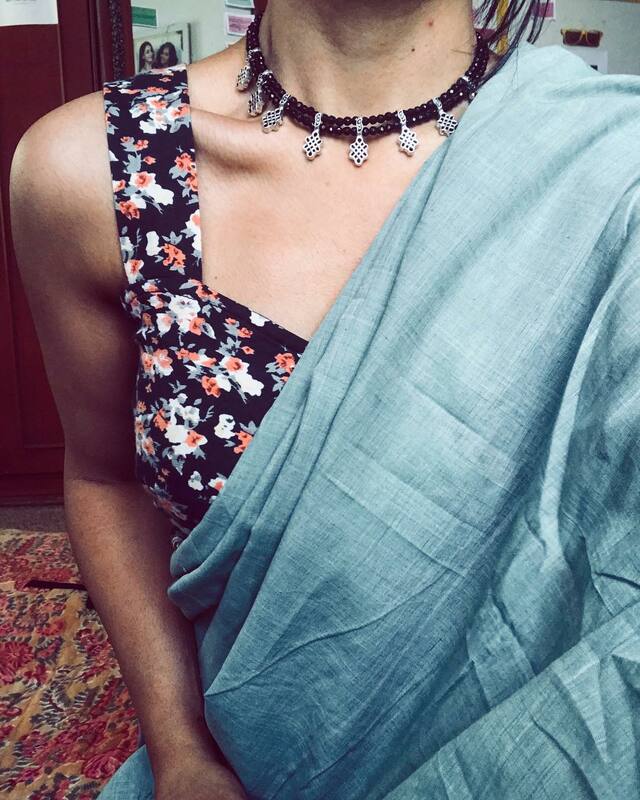 If you have any other necklace ideas, do drop your comment and let us know. The Bold Silver Earrings Every Celeb Is Fancying Now!